NOTE: For special dedications click the Instruction To Merchant link during the checkout process. Get ready for the best bathroom reading you’ll find in the Rockies with the release of Tales from a Mountain Town by award-winning author Eugene Buchanan. 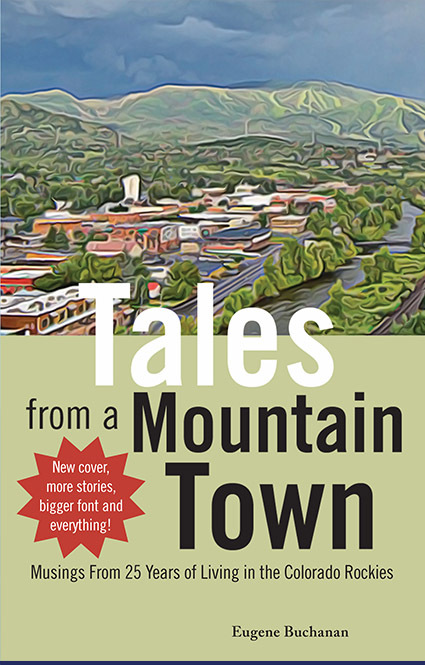 Highlighting musings from 25 years of living in the Colorado mountains, Tales from a Mountain Town compiles both new and previously published stories from a variety of leading outdoor publications into one, easy-to-read, lighthearted package of fun. Wth pen and knack for adventure in tow, Buchanan paints a picture of the unique situations that arise living and raising a family in the small (pop. 12,000) mountain town of Steamboat Springs. From rescuing dogs via canoe to escaping â€œurbanâ€ avalanches and offering “floorspace” to more urban-oriented friends, Buchanan’s wit and spin on the world around him delivers an easy-to-read collection that belongs on the commodes and coffee tables of mountain towns everywhere. Advanced Praise for Tales from a Mountain Town. 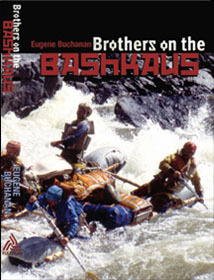 Join Eugene Buchanan, author of Brothers on the Bashkaus, in his latest tale of travel and adventure. This time he is in South America with a team of Polish explorers on a first descent down the Cruz del Condor section of Peru’s Colca Canyon, the deepest gorge in the world. Negotiating everything from unrunnable cascades to Incan mummy-filled caves and skin-bubbling plants, en route they discover not only the camara- derie needed to survive but a rival Polish team bent on beating them to the expedition plum. 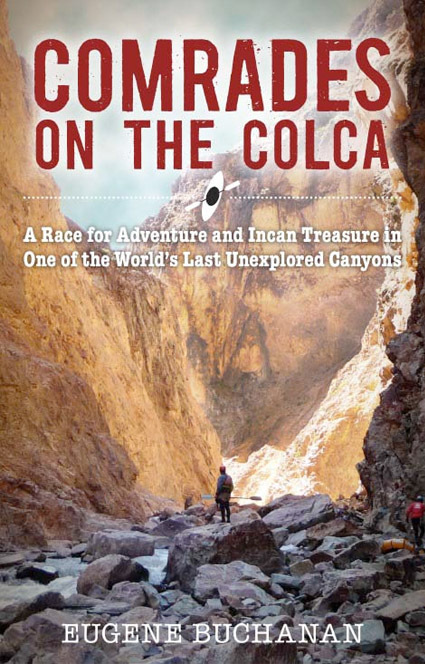 Interspersed with tales of Incan history, legends of treasure hunting, and other South American exploits, Comrades on the Colca plunges the reader into a gripping adventure travel narrative that will have the reader reaching for a paddle and plane ticket to the wilds of Peru. 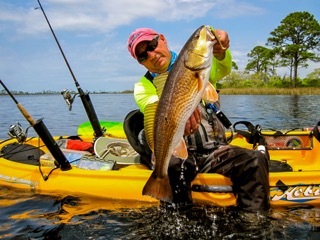 Join Eugene Buchanan, former publisher and editor-in-chief of Paddler magazine, as he wins the first-ever river-oriented Shipton-Tilman Grant from W.L. Gore & Assoc.’s only to end up on a hair-raising 28-day decent of the Bashkaus, one of the hardest rivers in all Siberia. Sidetracked by Latvia’s Team Konkas, they paddle rafts made from germ warfare suits, don lifejackets made from soccer balls adn wine bladders, trade vodka to gun-toting horseman for freshly butchered sheep, and language and cultural barriers aside to bond as brothers in one of paddling literature’s wildest rides. Value-added Bonus! The author will sign/dedicate all copies ordered from this site. The adventures cover every sort of paddling from mountain chasms, gentle rivers and lakes, crashing surf, dramatic coasts and the oceans beyond. Paddle from the frozen wastes of Alaska to the tropical rivers of South America. Explore the rivers and seas of Europe and visit the stunning waters of the Far East and Australasia. Striking full-page color pictures are matched with lively descriptions that bring the adventures to life. There’s also extra information telling you how, where and when to try each one for yourself. 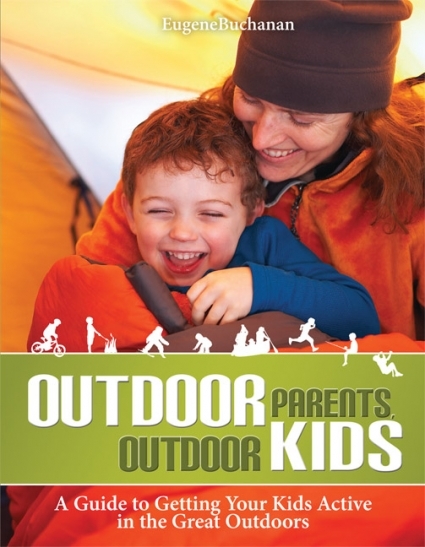 The majority of the book was written by Eugene Buchanan, the former publisher/editor-in-chief of Paddler magazine and founder of www.paddlinglife.net, and comes on the heels of his two previous books, Brothers on the Bashkaus (www.fulcrumbooks.com) and award-winning Outdoor Parents, Outdoor Kids (www.foxchapelpublishing.com). I’d like to say I’ve to been to every one of these paddling hotbeds, says Buchanan. â€œBut there are still quite a few I need to tick off the bucket list. But it’s a great representation of the best paddling spots on the planet. Read a sampler from the book at www.wileynautical.com/canoeandkayak.